This is part of a series I’m doing on each of the Hogwarts’ houses! You can check out Hufflepuff and Slytherin in previous posts (Gryffindor is coming soon!). I’m a Hufflepuff, but I think I could have also been a Ravenclaw. Most people call them the “smart house.” But they are soooo much more than just that! Ravenclaws have a lot of traits that make them awesome, so let’s celebrate them! Ravenclaws are wise. Your ‘claws are going to be the ones who think things through before doing them. They probably aren’t going to be the spontaneous ones since they make sure what they’re doing is a good idea first. They can use their critical thinking skills to ensure that things run smoothly. Ravenclaws are creative. This isn’t to say that your other houses aren’t, but Ravenclaws are most likely to be the artists, musicians, poets, and writers of the world. They can readily engage this area of their brains, making them a great person to go to when you need a fresh look at something. They can think outside of the box, allowing new ideas in. Ravenclaws are cunning. This is a trait they share with Slytherins! Because they have great critical thinking skills, they are able to make some great plans. 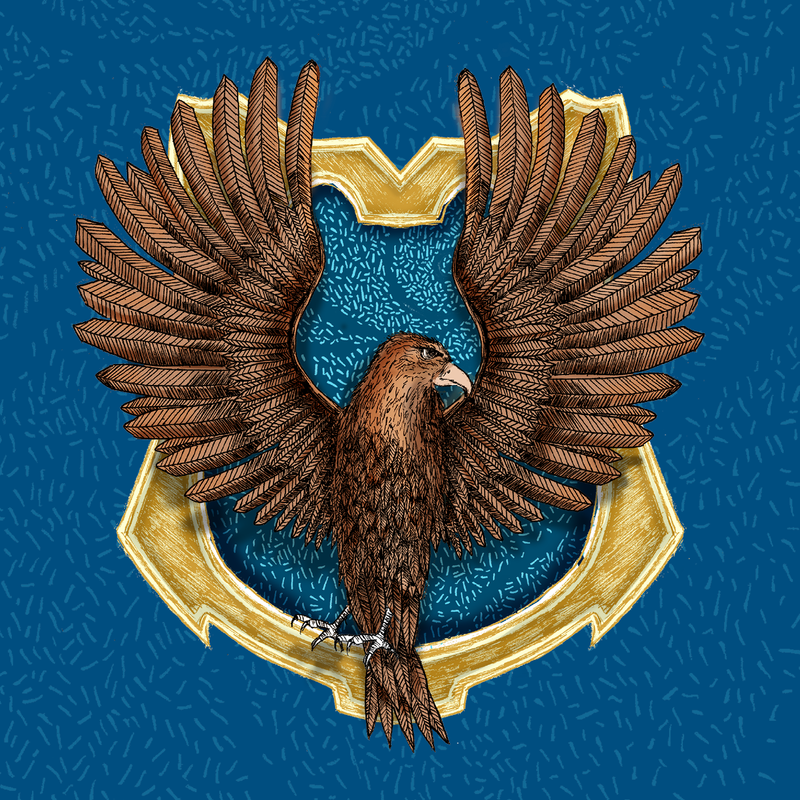 You’ll want to know some Ravenclaws when you’re trying to come up with the best way to do something, the best way to save money, or the best way to accomplish something. Ravenclaws are observant. Usually introverted, Ravenclaws are always watching the world around them. They might not say anything in a conversation, but you can bet they’re listening and learning constantly. They’ll notice if you’re having a bad day. You can bet they’ll know if you’ve worn the same pair of pants for the past week. They’ll be able to pick out the mistakes in a program or article. Ravenclaws are eccentric. Now, not every Ravenclaw is going to be a Luna. But because Ravenclaws are so creative and wise, they often don’t let the opinions of others rule what they do. This means they often march to their own beat. They don’t do something just because it’s the “normal” thing to do. Just like with all of the houses, these traits aren’t just for Ravenclaws! I’ve met tons of creative Hufflepuffs, eccentric Gryffindors, and observant Slytherins. The Sorting Hat takes your desires into mind! Are you a Ravenclaw? What about this list fits you? What doesn’t? Anything you’d add? Let me know in the comments!